First-time visitors to Napa Valley are often overwhelmed by it all. They have a hard time coping with seeing so many wineries in such a small area. They don't know which one to visit first, or which ones are open by reservation only. To make matters worse, Napa Valley is in danger of becoming a victim of its own charm. On weekends, CA Hwy 29 looks more like a city at rush hour than a quiet country lane, wineries get very crowded, and it's easy to miss the things that make Napa the special place it is. There's a really nice place hidden behind all the initial confusion and we're here to give you some insider tips that can make your visit more enjoyable. You must plan ahead. 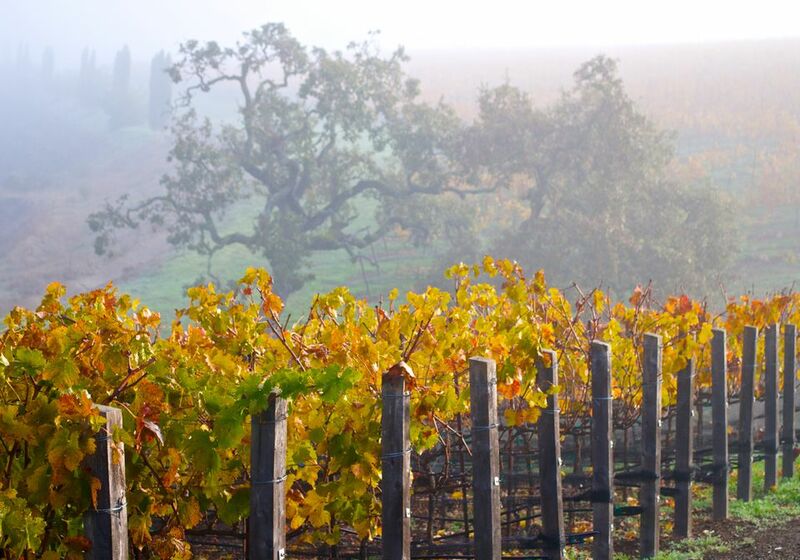 Napa Valley hotels fill up months in advance, almost any time of year except in the winter. Wait too long and you'll end up paying too much for a room—or unable to get one at all. Know some facts about the weather. On a hot day, head south. It sounds wrong, but unlike many other places, the north end of Napa Valley tends to be warmer than the south, which is cooled by the San Francisco Bay. There's more than just weather to consider. Every season in Napa has its pros and cons. Plan to visit mid-week if you can. There's a lot less traffic then, and some hotels have lower rates. Tasting room hosts will also have more time to talk with you, and things will seem more relaxed. In fact, you might find yourself the only person in a winery during a mid-week visit in winter. What to Wear. If you plan to take a winery tour, bring a jacket or extra layer of clothing to wear in the caves, which are about 60 F year round. If the tour includes a trip into a vineyard, pay attention to your footwear, which should be suitable for soft dirt, gravel, and dusty paths. Make reservations. Many Napa wineries require them. Don't think it's because they're snooty—it's often a condition of their winery permit, imposed by the county. Pick the right experience. Not all wine tastings are the same. The most mundane involve standing at a bar and sharing a pourer's attention with a dozen or more other people. Others are more special, with seated tastings that feel like fancy dinner parties, barrel tastings, wine blending, and food pairings. Avoid traffic jams. Try using Silverado Trail as your north-south driving route. It's more scenic and less crowded than Highway 29. You can reach it by driving east from CA Hwy 29 on any main road you find. Oak Knoll Avenue is an excellent choice if you're going north. Don't just zip past the town of Napa. There's a lot here to like these days, especially the gourmet specialty foods at Oxbow Market and wine-filled chocolate truffles or baked goods at the Hatt Mill.